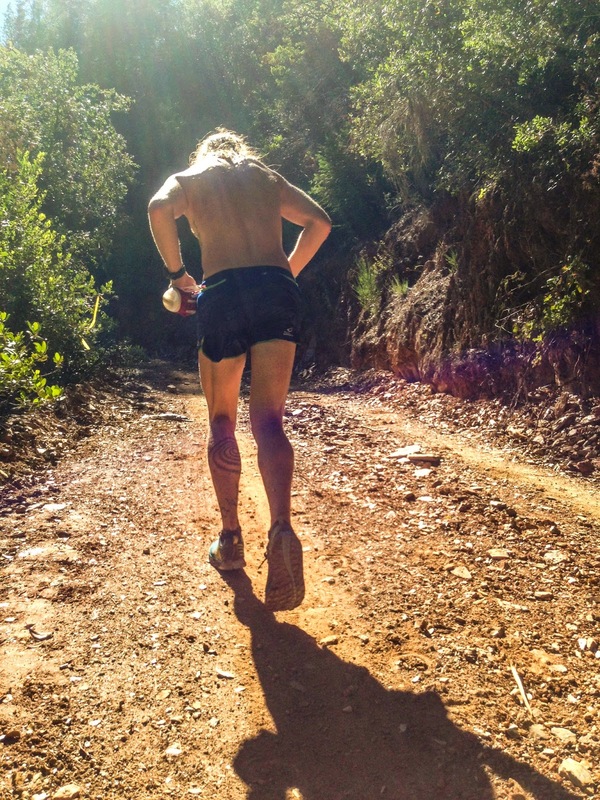 For the past 5 weeks I've been in training for Western States 100 and Angeles Crest 100. The plan is to train with semi-structured, higher-than-ever high mileage, and peak for Western States with enough endurance to race well again at AC in 5 weeks. Historically, this has been the undoing of the majority of runners who ran a summer hundred (or a few) before AC in September. AC is now in August, so how can I have such optimism for such a difficult double? For me, this is what life's all about. Though I'm a mere 27 years old, I've been around the sport for 6 years, and thoroughly enjoyed the accelerated and compacted self discovery. 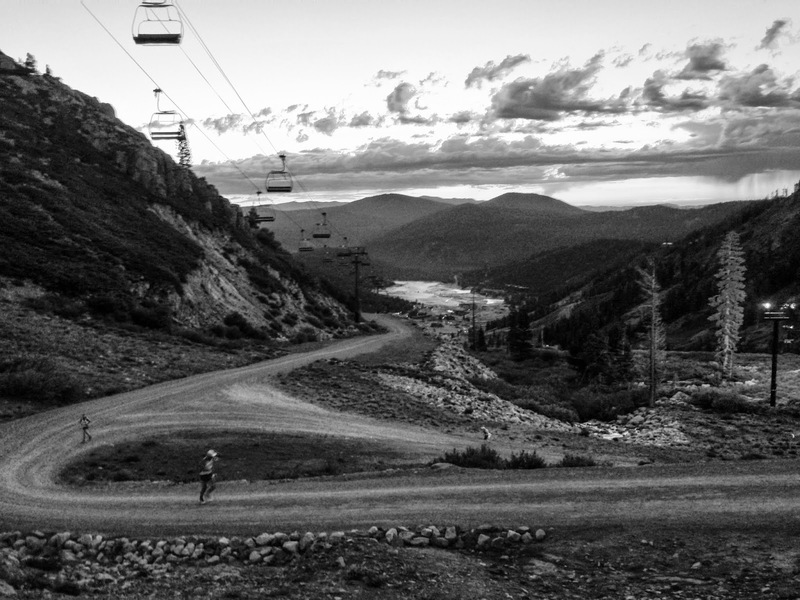 There's more to this sport than long miles in the mountains; there's friendships, opportunity, cathartic meditation, inspiration, crushing pain, accomplishment, encouragement, and a lot of really bad jokes. I think of my years at each of these two races and feel like I've crammed in a ton of living in the past 5 years. In the San Gabriels, I first laced up my MT100's in 2010 with a humble, talented, patient, hard working, and courageous man named "Chivo Loco" or Jorge Pacheco. I ran into him after we had both ran Badwater, and we happened to both be running Baden-Powell. I respected him immensely, and he acknowledged my enthusiasm for competing in the sport by sharing more and more miles with me (albeit, I was gasping for breath/bonking/crumbling, and he was gently encouraging and patiently waiting for me). 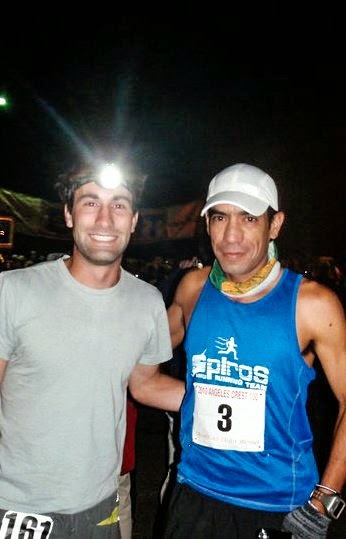 I grew more as a runner in the last three and a half years with Jorge and the San Gabes than I did in the 10 years before that. To say AC is special is a huge understatement; the race (and Jorge) have made me grow so much and I've found so much happiness in it that it's impossible not to feel its magic every year. Like many other ultrarunners, I got into the sport reading stories about Western States and "dreaming desperately" of getting a chance to race through the High Sierra in the crisp morning air, sweat through the scorching canyons, and turn my body inside out over the last 40 miles. Though I wanted to get into the race the second I heard of it, I learned of the talent level the race amassed and am glad I've had to wait this long to join the competition. It's a very surreal feeling because in my very first ultra, the PCTR Sequoia 50k in 2008, I ran against the 2006 WS champion Graham Cooper. An aid station worker told my Mom and Dad that I was doing well because I was within 10 minutes of him at the first aid station. For a few years, that was the closest I got to running near a champion of the race, and I always held those "Cougar Hunters" on a very high level. It might sound silly, but I haven't believed I could train hard enough or race hard enough to even break the top 10 at Western States until this year. For whatever reason, my mind doubted my body so much that I honestly thought it was impossible. Yet, as I pile up miles and vertical feet, I feel like I have more of a structured and proven training plan that makes me believe I do belong amongst those "M#" bibs. I feel like I've started to understand high mileage training for 100 milers, and that I am getting ready to uncork my best 100 miler performance on the best stage in the trail ultra world. 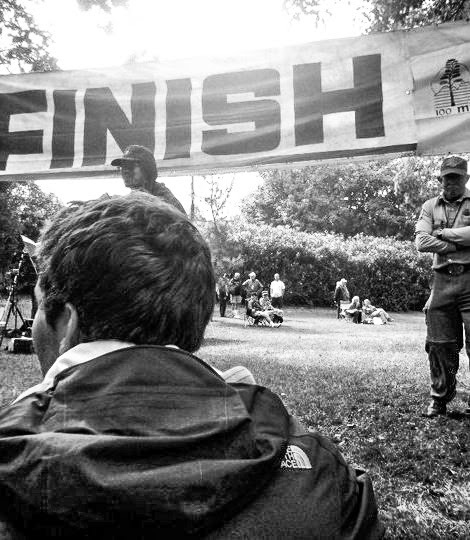 Jim O'Brien coached AC100 runners in the 90's to hit 10 straight weeks of 100+ mile weeks to build a "Full Blarney" base. I actually have never done this, and am starting to see the training as more than just a physical demand on the body, but also a mental demand on the mind to find creative ways to get miles out of a sore body. It's similar to how a ninja's fist must be hardened before it breaks a wooden board. As far as tactics go, everything I've got to witness in 4 years of pacing at Western States has taught me lessons on nutrition, training, mental strength, and race tactics. Jimmy, Erik Skaden, Katie, and Timmy all ran Western differently, and all exposed the dangerous parts of the race and the required antidotes. I feel I am staring far deeper into the race than the first time I read Dean Karnaze's account of his first run at Western. So, as I look forward to the next two months of hard training, I'm eager and excited. There's not a whole lot of doubt about what I need to do. I've been blessed with great training partners here in the local mountains surrounding Los Angeles. I rarely run alone or uninspired to push the pace. The goals are reinforced daily and the imperfect work-training-life balance is pushed to its limits. I work 45+ hours a week at work, and I run 15-25 hours a week on the trails. They feel equally challenging, and I am learning to put more passion into each to get more out of each. If there's a perfect week, it's a week that I run farther, hit faster times on Strava, get more parts shipped at work, make people smile, and get enough food and rest to do it again next week. I don't live from week to week with unrealistic expectations, but rather an optimism to build from week to week, strive for the best, and accept what happens with the silver lining of lessons learned. Great stuff. Can't hurt to be training with Timmy! E R I K...thats how you spell schulte-fox. Great string of 100+ weeks - I am actually in the middle of my 6th week of 100+ as well. In 2010, I ran 10 consecutive 100+ weeks early in the year and then later in the year I ran 23 consecutive 100+ mile weeks. It is quite the challenge both mental and physical, but I came out, an during, that stretch feeling more in tune with myself than I ever had been before. I hope you enjoy the process as well - and if I can run to a top 3 finish at Ice Age in May, I hope to join you on the line at Western State! Thanks for this, and similar posts. It's refreshing to see such a degree of honest self-evaluation, ambition, and dedication. Keeping showing what's possible. Chromeo's album is indeed shaping up to be epic! Wonder if they are just gonna release all the songs 1-by-1, lol! Keep at it dude! Inspired by your training and racing!